Trusted Van Nuys Personal Injury Lawyers With 40 Years of Experience! Have You Or Someone Close To You Been Involved In A Truck Accident, Car Crash Or Any Other Kind Of Automobile Accident In Van Nuys, the San Fernando Valley, Los Angeles Or Anywhere Else In California? If yes, then our experienced truck accident personal injury lawyers could be the difference between good and great legal representation during your personal injury case for a trucking accident to recover maximum compensation. Trucks, due to their huge momentum, cause major accidents with serious accidents, sometimes even deaths with wrongful death claims. With experience and knowledge spanning over 40 years, our injury lawyers have an outstanding track record with 95% success rate and more than $100,000,000.00 recovered for our clients. Our attorneys and legal experts will pursue your rights and work in your best interests in order to obtain the best medical care for you and maximum compensation for your losses, be it for physical injuries, emotional distress, wrongful death and/or property damage. There are many time and procedural rules, so please do not delay. Please contact us now 24/7 for a FREE & CONFIDENTIAL case consultation. To know about our lawyers, feel free to check our lawyer profiles, and please also visit our personal injury & wrongful death case testimonial pages. For more information on our experienced truck accident personal injury lawyers and law firm, please visit our home page. It is easy to contact us for a completely FREE & CONFIDENTIAL CONSULTATION. You may also call us at 818-222-3400 or 1.866 INJURY 2 for specific Advice about your own particular case at any time for your FREE & CONFIDENTIAL consultation and case evaluation. 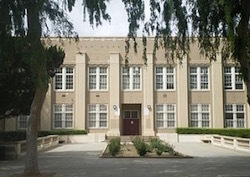 Van Nuys was founded in 1911, named after Isaac Newton Van Nuys, who was one of its developers. 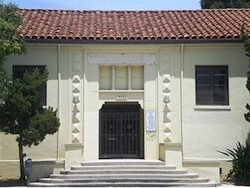 It was annexed by Los Angeles in 1915, after completion of the Los Angeles Aqueduct, providing it with the water required for further growth. 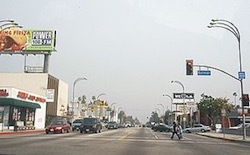 A district and neighborhood in the central San Fernando Valley region of the City of Los Angeles, California, Van Nuys has North Hills towards the North, Panorama City towards the Northeast, Valley Glen by the east, Sherman Oaks on the southern side and Lake Balboa on the west. 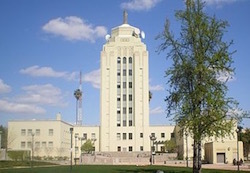 Among famous residents of Van Nuys, iconic actress Marylyn Monroe, lived in Van Nuys during her childhood. Over 40 years experience successfully resolving thousands of truck accident, car accident, wrongful death and other personal injury cases in Van Nuys, North Hollywood, Studio City and throughout Los Angeles, the San Fernando Valley, Ventura and all of California. We provide immediate help with medical care, specialists, property damage repair and settlement, loan cars, monetary advances, medications, prescriptions, etc. We have received many honors and awards. Please visit our home page. Contact our Van Nuys truck accident injury & wrongful death accident lawyers and the legal team now for a completely FREE CONSULTATION and CASE EVALUATION. For a quick and easy way to contact us 24/7, simply click here to fill-out your case details in our contact us form. 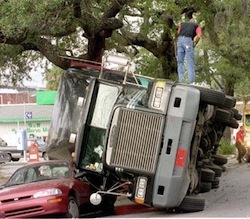 You can tell us all about your truck accident personal injury case or other injury accident. Our attorneys and legal experts will get back to you immediately.